Last week, we came to school for a traditional event, a very reliable signal that the school year is really ending - an "Open House". It was interesting to see what 4th graders were up to this year, since we did not have many samples of work, especially of writing work, sent home during the year. Smarty's school is really strong on reading and writing, and this focus always comes through during Open House exhibits. A big difference in comparison to the previous years was that all writing was done on the computer. I have mixed feelings about this shift from handwriting to typing, but... it's great for kids with fine motor difficulties - they can stop worrying about their handwriting being legible and focus on the content. Some of the kids in Smarty's class even use dictation instead of typing for their writing work. Still, it's striking how much quality of writing and depth of vocabulary differs between different kids even after handwriting is taken out of equation. 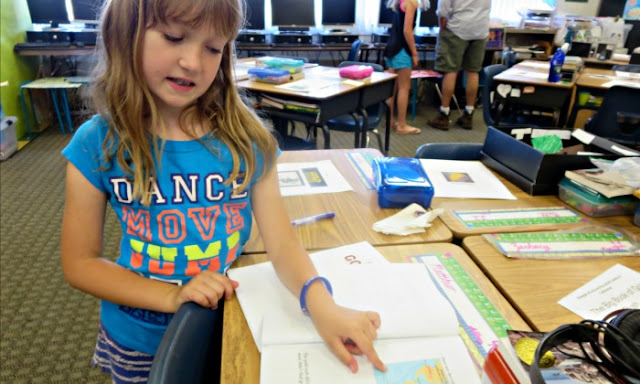 One of the end-of-year writing projects this year was The Big Book of the Gold Rush. 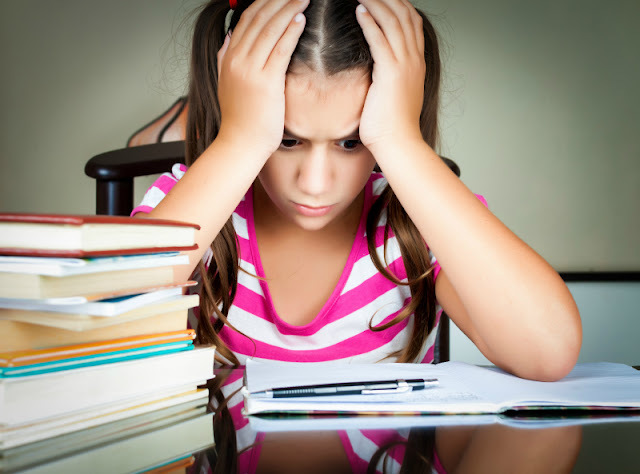 It was a "small group work" project - Smarty partnered up again with her best friend and this time they did better than their failed science fair project and produced a well-researched non-fiction write up of that time in California history. It amused me that their work was the most detailed and they were the only ones in the whole class to include a glossary of terms. 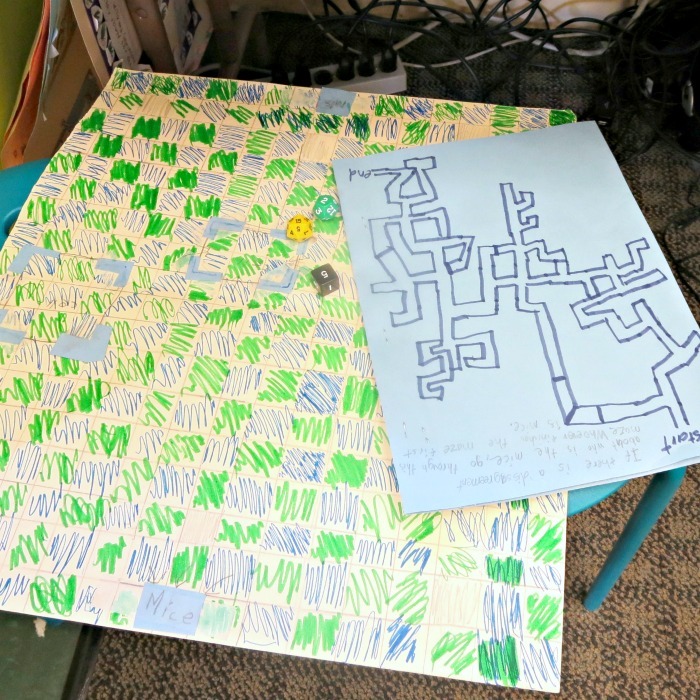 Another interesting "small group project" that kids did this spring was making their own board games. This time Smarty partnered with another boy, and they produced a game with super complex rules - they took several pages to just explain the rules. I am kind of hoping that she will bring a game board and the rules home when this school year ends, because we challenged her on whether the game is "playable", but we would not know until we played it. My favorite writing project was The Feelings Poem, partially because it was individual work. Basically, children could choose any feeling and then describe it in as many details as possible following the usual sensory poem rules. Smarty chose furious and explained that she wanted to imagine the feeling that she never really experienced for real :) Her best friend did an awesome job with exhausted. Smarty was also quite proud of her art achievements. 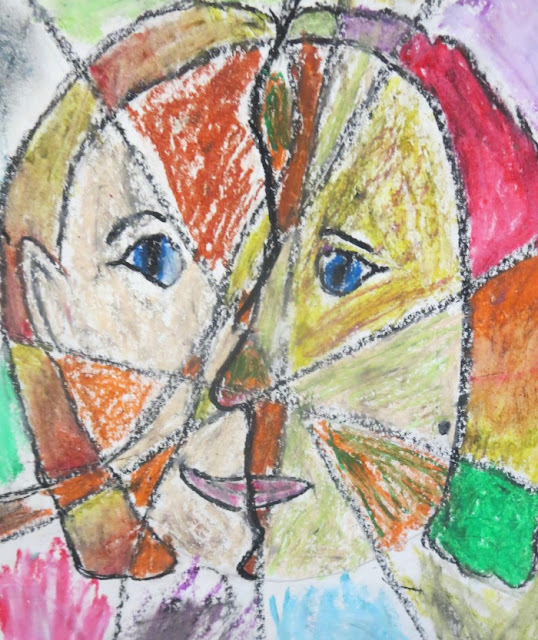 We don't have a separate art class in our school, but there is a monthly art program supported by parent volunteers. 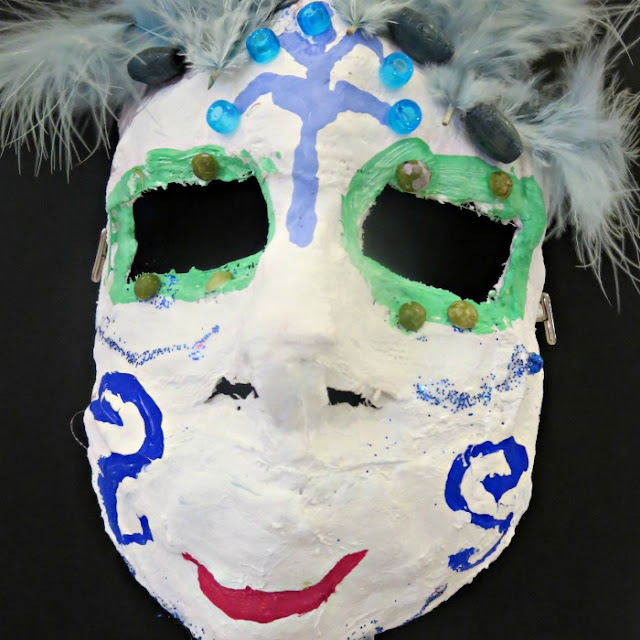 Smarty selected several projects to showcase at a school's art show that was happening at the same time as their Open House - one was the mask in the lead image of this post and another one was this Picasso self-portrait. Looking back at the fourth grade, I am grateful for having another good year for Smarty. She enjoyed her teacher and her classmates even though she could have used more challenge. She made strides in her social and emotional maturity too and is better able to work with others. I am really sad that she is not going to be with her close friends this year, but the luck of the lottery cannot be changed. However, she might have another adventure next year - more about that in the post later this week. 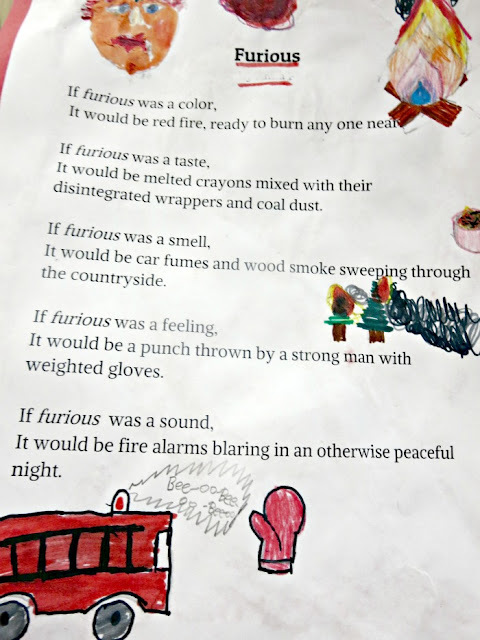 I love Smarty's "Furious" poem. Sounds about right to me. I like her furious poem! Princess can give Smarty a lot of information about being furious. She gets much experience with two older brothers. She did a great job with her poem.